MoreBeer.com Coupon Code Description: While supplies last, save $6 on a Speidel 8 Gallon Home Brewing Fermenter and get free shipping on order of $59+. This More Beer promo code is only good while supplies last! 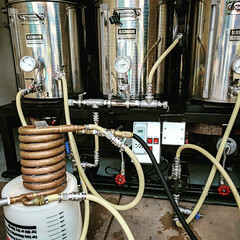 Sale Description: Adventures in Homebrewing has a deal going right now where you can pick up a new 220K BTU Home Brewing Burner and Stand for only $79. That is the best price around for one of these homebrew burner stands. 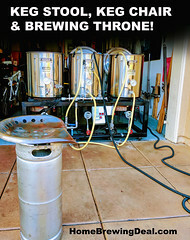 I am not sure how long this Homebrewing.org promotion is good for, so if you are looking to buy a home brewing burner with a stand, you might want to act now! Coupon Description: HomebrewSupply.com is currently running a promotion where you can save 10% on all of their home brewing beer kits. They have recently become my preferred source for home brewing recipe kits. If you have not tried their Hazy IPA kit, I highly recommend it. Their Robust Porter kit is just fantastic as well. Best of all their home brewing kits qualify for there flat rate shipping program. Act now and you will also save 10% on each kit purchased. Join the Adventures in Homebrewing Rewards Program and start saving with each purchase! 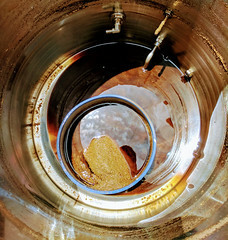 Join the Adventures in Homebrewing Rewards Program! Start saving with each home brewing purchase! Promotion Details: Join the Adventures in Homebrewing Rewards Program! 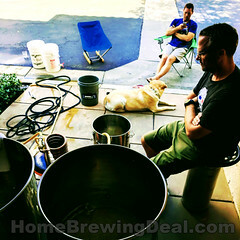 Sale Description: Did you know that you can earn a 5% rewards with each of your home brewing purchases at Homebrewing.org – Adventures in Homebrewing? Well you can, and it is super easy to do. Click the following link to sign up and start saving on your homebrew purchases today with the Adventures in Homebrewing Rewards Program! Here are some of the details on the program. The Adventures in Homebrewing Rewards Program grants a 5% reward for every $200 you spend. You will earn 1 point for every dollar you spend with shipping and tax excluded. So if you make a $55 purchase you will be rewarded with 55 home brewer reward points. If you make a $172 purchase you will be rewarded with 172 home brewing rewards points, it is that simple. When you reach 200 or more homebrew reward points, you will be able to redeem those points for a Gift Certificate good towards any product available at Adventures in Homebrewings website. Please keep in mind that gift certificates do not generate rewards when purchased or used. The awarded home brewing gift certificate can be used with sales and adventures in homebrewing free shipping offers. Redeem 200 points for a $10 Gift Certificate. Redeem 400 points for a $20 Gift Certificate. Redeem 600 points for a $30 Gift Certificate. Redeem 800 points for a $40 Gift Certificate. Redeem 1000 points for a $50 Gift Certificate. Redeem 2000 points for a $100 Gift Certificate. Click the following link for all of the details and any updates to the Adventures in Homebrewing Rewards Program. 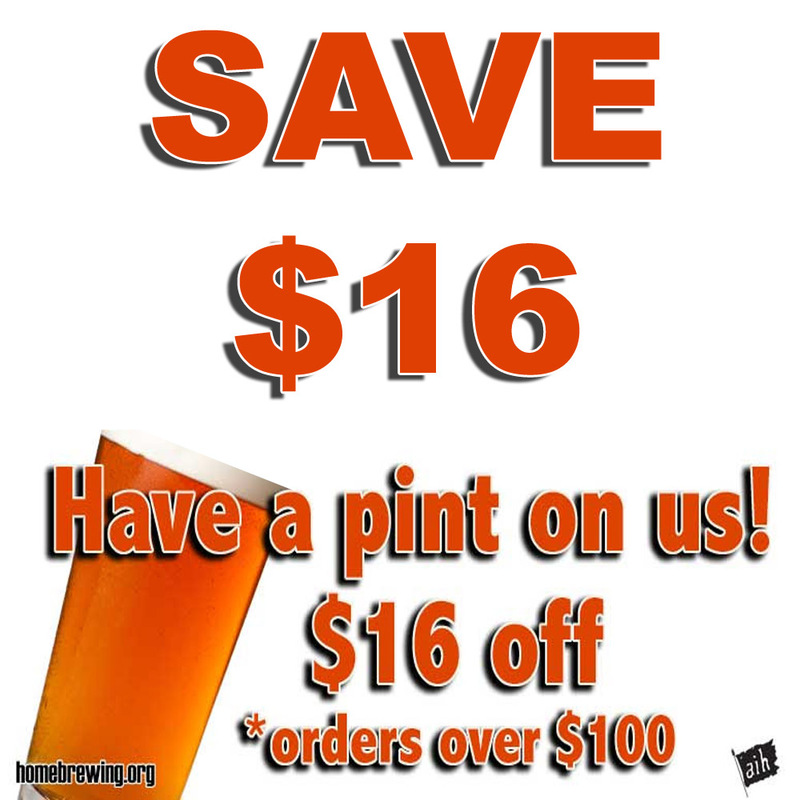 Coupon Description: Right now you can get free shipping at Homebrew Supply on order over $50. There are some limitation on this limited time offer. Click the link for all of the details on this free shipping coupon for homebrewsupply.com.